Actually getting started on a new novel can be a difficult step. Every writer is different: some of us leap headfirst into a new project, eager to get going, while others linger over characterisation and plot plans. I tend to fall into the latter category. I have failed on novels before due to poor planning, so nowadays I like to be sure everything is ready before I write a line of the story. I spend weeks (or sometimes even months) conducting research, writing notes, drawing up detailed character files. I write complex historical novels so it would be foolish to jump into the deep end before I’m ready. However, sometimes it pays to set aside the research and just get stuck in — even if it’s only to test the waters. What do I mean by a ‘pilot chapter’? Put simply, it’s a test run. It lets you explore characters, themes, and plot elements without committing to anything. Think of it as a sketchbook. I’m currently at the point in planning Alpine Dawn II (boring working title The Solomon Gordon Papers) where most of the prewriting has been done and I’m itching to get into the meat of the story — however, I’m well aware that I’m not quite ready yet. I still need to outline the overall plot and answer some important questions before I begin. I’m introducing some new main characters in this volume, including the journalist and showman Albert Smith. 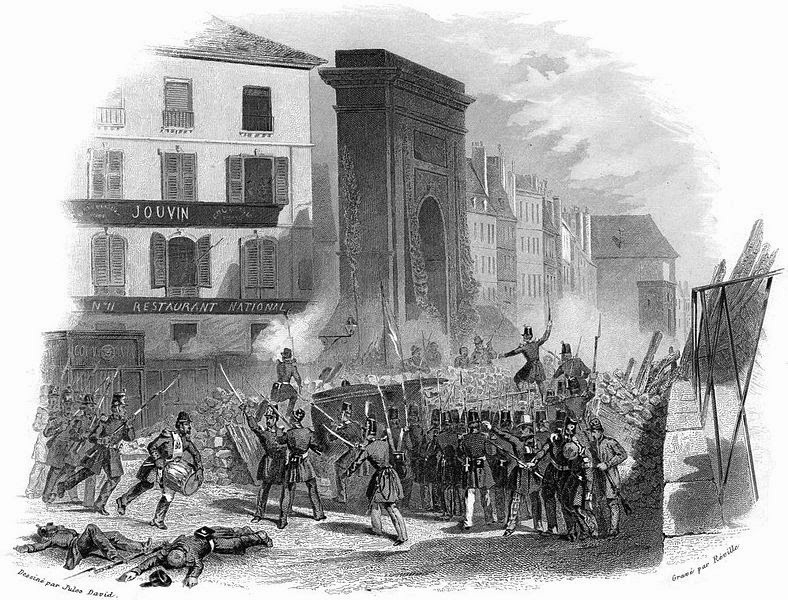 The pilot chapter I’m currently working on is set in Paris on the 23rd of June, 1848 — a date when revolutionary battles broke out between the desperate workers of the eastern quarters and the government forces of the west. This won’t necessarily be the actual first chapter of the finished book, but by putting Smith in a stressful situation I can learn about how he acts and reacts as a character. The chapter is also answering lingering questions about various subplots. A brick crashed through Smith’s hotel room window. Will it end up as the first line of the book? Probably not, but for now it’s serving its purpose. Sometimes the pilot chapter can be something more: it can be the seed for the first draft. If the story really takes off and you find yourself three chapters in and still going strong, you’re probably onto something good and should just keep going! This is more or less what happened when I was working on The Only Genuine Jones. After two false starts — one of which got to over 20,000 words in length — I eventually decided just to start writing, no pressure, and see what happened. That pilot chapter worked well and, with a few modifications, became the final version of Chapter 1 as it exists today. Ultimately we’re all different. The pilot chapter method will be completely unsuitable for some writers; after all, some novelists don’t plan their books at all, and thrive on jumping straight in. However, for those of us who like to plan for every eventuality before committing words to the page, the pilot chapter method can be a great way of breaking the ice on a new book.